As technology evolves, the customers of today are starting to demand better and faster service. To keep customers happy, businesses need to evolve to resolve issues quickly and with fewer steps through multiple channels. The transformation is to be proactive rather than reactive. The importance of Next-Generation Customer service is mainly due to businesses wanting to improve customer retention for revenue growth. Social media and the Internet can do so much to "spread the word" that can result in businesses getting a bad reputation due to negative comments/feedback from consumers. This can be avoided through great customer service. Likewise, as the Internet has made consumers more informed about different products and services, they also expect more in return, including the ability to interact with customer service. Here are some important data points from the industry. 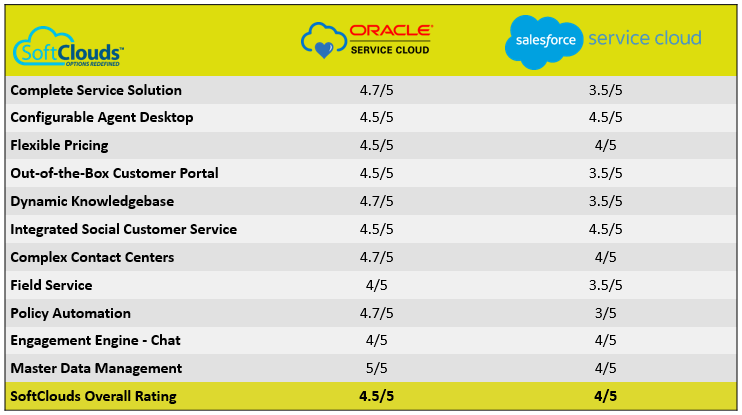 Oracle Service Cloud (OSvC) is a customer service tool that makes it easy for businesses to connect with customers. It consists of apps from Oracle's RightNow, it's online customer experience solution, that simplifies the process of social, web and contact center customer services. OSvC's main goal is to improve customer service across all channels in various industries. Providing exceptional customer service is where OSvC leads the way. It creates a customer experience that consumers appreciate because it is always consistent and reliable. Customer expectation is rising and they want answers quickly no matter where they are or what device they use. In the customer portal, customers can receive help by using the Contact Us web page and look for solutions using the Answer page. In the Contact Us page, the customer can request help by submitting a request email, making a phone call, or using chat. 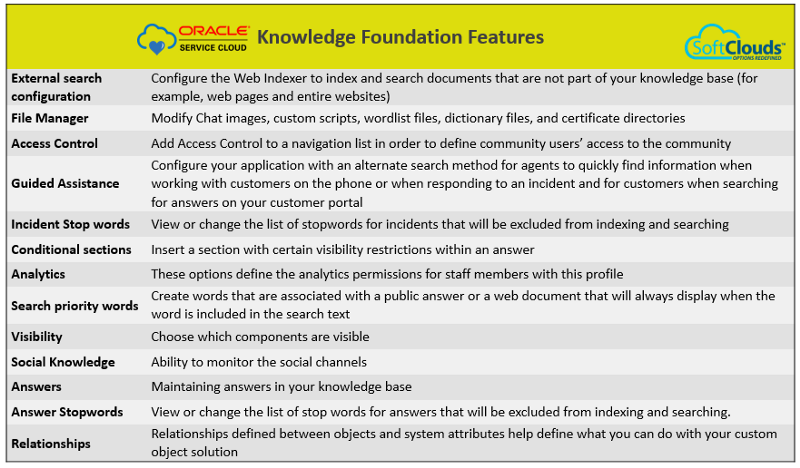 In the Answer page, the customer can use the search box and look for possible solutions that are listed from Oracle's Knowledge Management. Agents will use the Agent Desktop to reach out to customers who have contacted them from the Contact Us page. Agent Desktop allows a company's agents to interact with customers using Oracle Service Cloud. Agents are responsible for delivering a great customer service experience and need a single application. Agent Desktop, a tool that manages cases from different service channels, gives them everything they need to serve their customers. It is important to efficiently and consistently manage cases when they come across all interaction channels. Access Oracle Service Cloud using devices that do not support Microsoft® .NET. Use environments where browser-based applications are required, for example when an organization's compliance or governance rules mandate it. Access Oracle Service Cloud when installing and supporting the smart client agent desktop may not be viable, such as for light or infrequent users. Using the Contact Us page, Oracle Service Cloud gives a complete service solution across both assisted and self-service channels regardless of how customers choose to reach you. The pre-configured mobile support sites makes sure customers find answers when they need them the most. A flexible self-service framework makes it easy for business users to create perfect multi-channel customer service portals even when a customer can't find what they're looking for. Smart tools and guides can automatically recommend the best answer thereby reducing contact center interactions. Oracle Service Cloud has two knowledge management solutions embedded in the package. The following are the solutions available. Based on the needs of the organization, the enterprise can pick and choose the knowledge management solution that can be most effective. Another player in the industry is Salesforce. The Salesforce Service Cloud is a CRM platform that enables businesses to deliver personalized service. Customers can get the help that they need using any device and across multiple channels. Key features include 24/7 live chat, self-service portals and discussion forums, access to articles and FAQs, social media customer service tools, and other agent tools. With Salesforce Service Cloud, agents can reduce the time it takes to resolve cases, customers can take advantage of different self-service tools and a personalized experience. Moreover, they can expect to receive support from anywhere and at any time. Oracle Service Cloud stands tall because service processes are automated and workflows are streamlined. The result is faster resolutions and better solutions to issues as they arise. It allows businesses to open the lines of communication through every means possible, thereby building relationships with customers through personal interaction. No matter the industry, service cloud provides fast and personalized customer service across multiple channels. Service Cloud helps customer service agents increase customer engagement and provide top-notch customer service. This results in increased loyalty and retention and of course, happy customers. Now more than ever, when people want and expect answers instantly, providing exceptional customer service is of utmost importance. To get ahead in business, it is no longer enough to merely make a sale, the business needs to exceed customer expectations before, during and after the deal is made. Over the duration of an organization's relationship with its customers, customer experience should be seamless and flawless. Oracle Service Cloud, with its key capabilities, provides just that. Engaging with customers, understanding their needs and solving problems - all of which businesses can achieve with OSvC - all lead to better customer experience and satisfied customers. Having a customer experience strategy is what businesses nowadays need to succeed - and Oracle is innovating and set right to win this battle. Its connected service provides exceptional, proactive customer experiences unlike any other next-gen customer service platform. 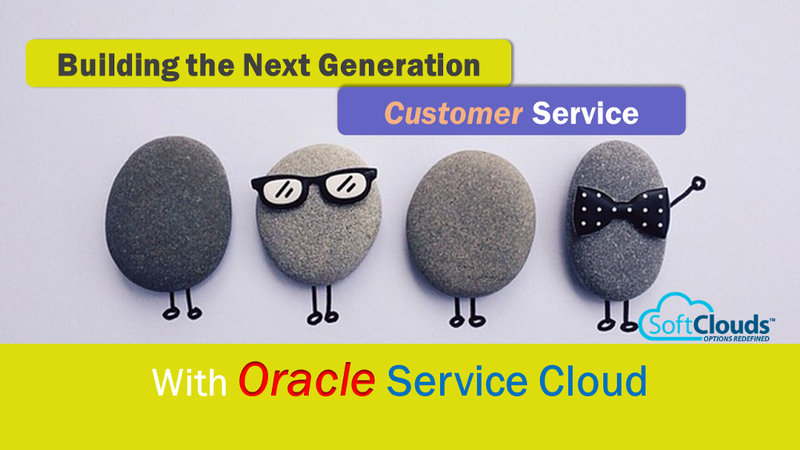 Its ability to meet the needs of customers as well as provide all the tools that make it possible to provide only the best customer service places Oracle steps ahead of the game in getting your business ready for the future. What CRM Solution do you use for your customer service/experience ?? What is your biggest pain point when it comes to customer experience. This post was written by Mahesh Jeyakumar — Practice Manager, CX Service at SoftClouds. Mahesh has extensive experience with CRM/ CX enterprise & cloud applications. Mahesh has a deep understanding of CRM/CX platforms and its use in various business environments. SoftClouds is a recognized leader in CRM / CX transformation with experience in numerous Service Cloud Implementations with pre-configured best practice business processes for multiple verticals/domains.